Sharing content, assessments, and rosters is now easier than ever when you’re working with Pearson Realize™ and Google G Suite™ for Education. Realize is a "Google for Education Premier Partner," which means you can expect more integrations, support, and flexibility with the curriculum and technology you use every day. 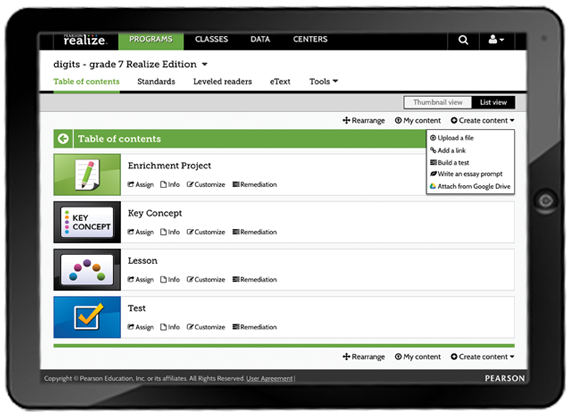 Share supported content from your Realize programs with your classes. Just click “Share with Google Classroom” and Realize will do the rest for you. Be off and running when class starts. Sync your Google Classroom rosters easily with Pearson Realize™. Students log in once and have access to everything. Assignable assessments and content show in the student’s Google Classroom™ stream. 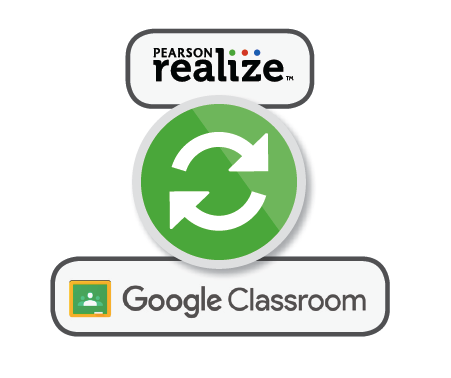 Completed work and scores are shared and recorded in both Pearson Realize™ and Google Classroom. 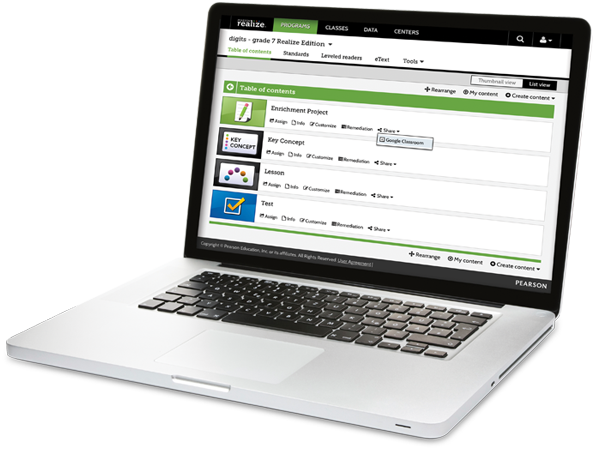 Add links from your Google Drive™ directly into your Realize lessons and quickly assign those links to your students. ©2018 Google LLC All rights reserved. Google and the Google Logo are registered trademarks of Google Inc.